Real Madrid would be wrong to panic-buy a new striker in the January transfer window, according to former head coach Bernd Schuster. The European champions have not scored in any competition since a 1-0 LaLiga victory over Espanyol on September 22 and are without a win in their last four games. Their struggle for goals since Cristiano Ronaldo left for Juventus in a €112million deal has led to scrutiny over the form of their attacking players. Karim Benzema hit five in four games at the start of the season but is now without a goal in his last seven appearances, while Gareth Bale has gone four league games without scoring and Mariano Diaz has only netted once since his return from Lyon. Schuster, though, has warned Madrid against signing another forward in early 2019 as he thinks it unlikely any top-class players will be made available. "I wouldn't sign anyone in the winter market because if what you want is to bring in a star or someone who improves what you have, I think that if a club allows a player to leave like that it'll be because he's not right," he told Marca. "Arriving in January without having good rhythm is very difficult. They won't easily let a striker leave if he has 20 goals with his team. "What happens is that Ronaldo didn't only guarantee you goals, but the opponents unconsciously change the way they play. "Sometimes, a leader is missing. Madrid didn't have one in Moscow [a 1-0 Champions League defeat to CSKA] and it was too noticeable." Madrid's form has seen pressure mount on head coach Julen Lopetegui, with some reports suggesting he will be sacked if they lose the Clasico to Barcelona on October 28. 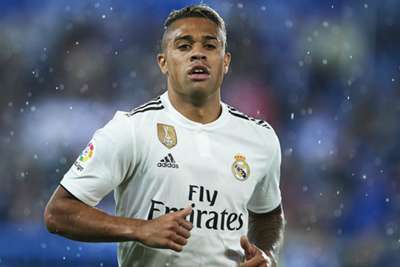 Schuster, who lasted just 17 months in charge at the Santiago Bernabeu, thinks Lopetegui is well aware of the demands involved. "The players barely care. It's the coach who is thinking about the next game all day," said Schuster, now coach of Dalian Yifang in the Chinese Super League. "They are mentally prepared for criticism and to suffer when things aren't going well. They know they live by the next result."